Exercise Trident Juncture 2018: a provocation to Russia? The NATO (North Atlantic Treaty Organization) is an intergovernmental military alliance based on the North Atlantic Treaty, signed in April 1949, which constitutes a system of collective defence, in which the Member States agree to defend their members in the case that are attacked by an external power: Article 5 of the Atlantic Alliance states that an “armed attack” against one or more NATO allies is considered as an attack against every member of NATO and therefore each of them can, according to the right to self-defence enshrined in Article 51 of the UN Charter, decide what actions it is necessary to “restore and maintain security”, including “the use of armed forces”. From October 25th to November 7th, took place in Norway the “Trident Juncture 2018” (TRJE18), the largest military exercise in NATO since 2002, with the involvement of 31 countries (29 NATO and 2 partner countries, Sweden and Finland), 52,000 men, 70 Naval units, 250 aircraft, over 10,000 land vehicles that if lined up would form a 92 km long column. These forces have moved not only on Norwegian territory and waters but also in Iceland, in the Baltic Sea, including the Strait of Denmark in the North Atlantic. Specifically, the ground forces were exercised in an area between the cities of Trondheim and Oslo, the naval forces along the Norwegian coast heading south, to the north of Scotland, while the air forces operated predominantly in the Norwegian airspace, but also partly from the Swedish and Finnish ones. 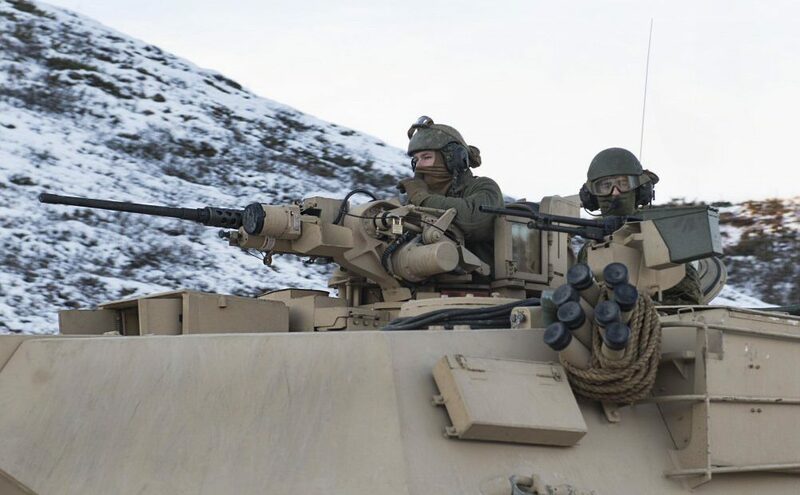 Norway and Iceland have taken a leading role in the protection of the Alliance’s north-western borders in recent years and Norway has regularly hosted minor NATO exercises, such as the “Arctic Challenge”, the “Cold Response” and the “Dynamic Mongoose”. In addition to these activities, is to be reported also the NATO Air Policing in Iceland. The exercise took place under the coordination of US Admiral James Foggo, commander of the Naples Joint Force Commando, and aimed to “test the Alliance’s defence system and ensure that NATO forces were able to work together and be ready to respond to any threat from any direction and to interact with friendly countries, such as Finland and Sweden”. The operation was divided into two parts: the first saw the various assets reach the operation area and the staff directed serial activities with increasing difficulty, while the LIVEX phase was the simulation of a conflict on land, sea and air. Italy also took part in the activity with a share of Italian soldiers: the STRICKFORNATO (Naval Striking and Support Forces NATO) returned to conduct flight operations after approximately 28 years, with a total force of over 17,000 soldiers and 20 ships, it carried out an amphibious landing on the Norwegian coast giving way to a tactical event made known by the media as “the battle of Oppdal”. The direction of the camps was east, towards Russia, whose submarines “threaten NATO’s ability to exercise the maritime control of the North Atlantic and the lines of maritime communication between the United States and Europe” and whose ships challenge “the US and NATO presence also in the Baltic Sea and the Black Sea”. So the Trident Juncture would be a response to the operation put in place by Moscow in September (Russian operation Vostok-2018) in the Trans-Baikal region, on the eastern borders of the Federation, near the Russian border with China and Mongolia, with whom Russia started the largest deployment of armed forces after 1947 with 300 thousand soldiers, 36 thousand tanks and armoured vehicles, 1,000 planes and helicopters, 80 ships. The Ministry of Defence of Norway states that training was an excellent opportunity for Norway to improve the ability of soldiers to work with a large number of foreign troops and vehicles. Furthermore, he claims that the Russian military in the Arctic violated the work of GPS systems during the NATO exercises from October 16th to November 7th due to the activities of the Russian in the polar region of the Kola Peninsula. Even the head of operations of the Marine Corps of Holland, Jeff McMutry, said that Russian ships and planes tried to provoke the Dutch and British military the NATO exercises in the Arctic, as he noted that many more Russian ships approached during the exercise, compared to previous decades. While Admiral Vladimir Valuyev stated that the Russian aviation and fleet manoeuvres in the Arctic are stipulated by the International Regulations to Prevent Collisions in the Sea (1972), reiterating that Russia has not been banned from conducting manoeuvres in the open air and at sea, as it has always conducted manoeuvres of ships and military aircraft in accordance with international standards, without violating the border with other states. In turn, the Russian Foreign Ministry, Sergey Shoygu, described NATO’s manoeuvres as a provocation against Russia, which declared that it is not a threat to anyone but that it will not ignore actions potentially dangerous to its interests. Another complication, during the operation, was underlined by the NATO Secretary General Jens Stoltenberg, which said that during the exercises in Norway military equipment had problems with the cold, as the military would have received uniforms and shoes that did not protect them from the Norwegian cold. This year’s exercises are the most extensive in recent years: those of 2015 had employed 36,000 soldiers while those of 2002 in Norway and Poland (Strong Resolve) had employed over 40,000. From September 2 to 9 there were exercises in Georgia, while the Steadfast Pyramid 2018 and Steadfast Pinnacle 2018 were held in Latvia from 9 to 21 September with the aim of improving the planning and management of integrated operations; from 26 September to 5 October, the Toxic Trip 2018 exercise was held in Poland. From October to December there will also be the Anaconda-18 operation, in Poland, Lithuania, Estonia, Latvia and the Baltic Sea, with the overall participation of 5,000 soldiers and the objective of practicing cooperation between the command structures in each of the Partisan countries and NATO allies, led by the US. The exercise took place in two phases: between 7 and 16 November and between 26 November and 6 December. Next PostLobbies or not lobbies?